We’re all bag fanatics, so every time we spot a store that has something brilliant, we make it a point to step in and check it out. This time, we came out pleasantly surprised. While walking through Fort, we discovered a 45-year-old shop on the first floor of a building that is full of leather and non-leather bags. Read on. You’ll find bags perfect for the monsoons (water repellant), totes in all shapes and sizes, slings that are durable (we picked up 3), leather suitcases, laptop bags, backpacks, even belts, wallets and purses that are made of leather. While the price range varies from brand to brand, you are sure to find a piece that you like in the budget that you’re looking at. We’d picked up four bags, one water repellant, and it has worked like a charm, and three slings bags that look great and are spacious, all for INR 2,000. Situated in a lane in Fort, very close to Kitab Khana, there’s another special reason why we liked this shop – they also sell second-hand bags and have mentioned it clearly in their store. 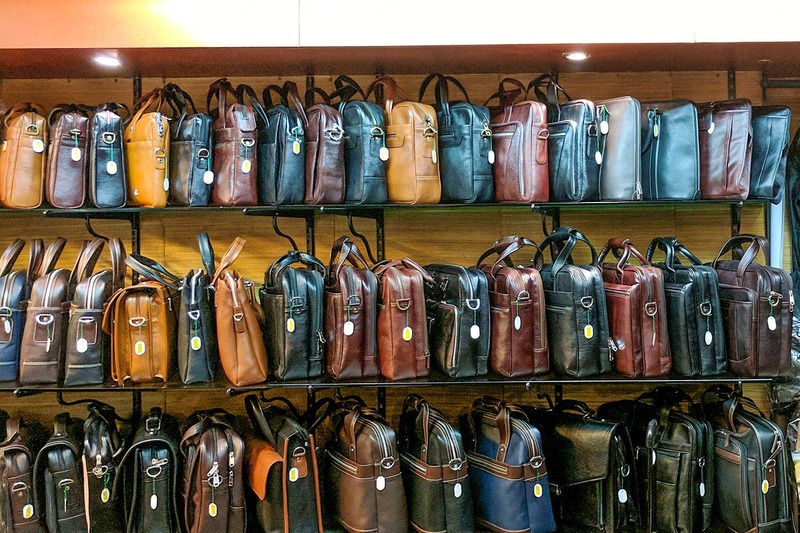 When we asked them what people would do buying second-hand bags and suitcases, the owner mentioned how certain people use them for a number of different reasons – like the suitcases, a lot of lawyers in the area pick up these gorgeous old leather cases to store things in their pretty offices in Fort. So, if you’re looking out to see a few things, make sure you find your way here. We were looking to purchase a suitcase too, so a few more options would certainly have helped. Nevertheless, when we mentioned it to the owner, we were told that new stock comes quite often. We recommend you check out their non-leather pouches too. They have a few in their collection in many sizes and can be used for a number of reasons – to store makeup or even use it as an overnight pouch with the essentials.